London, Feb 05 - Finnish racing driver Kimi Raikkonen completed the first Formula One pre-season test for Ferrari successfully, as he came out on top on the final day at Spain's Jerez track. It was the third time in four days a Ferrari had been the fastest, as the teams reached one-third distance in their preparations for the 2015 season, with Sauber's Marcus Ericsson finishing second ahead of Lewis Hamilton, whose Mercedes team completed by far the most mileage. McLaren had another tough day, still struggling with their new Honda engine, with Jenson Button did only 35 laps and was 6.8 seconds off the pace as he was forced to abandon the day's running post being initially hit by a problem with oil levels, the BBC reported. 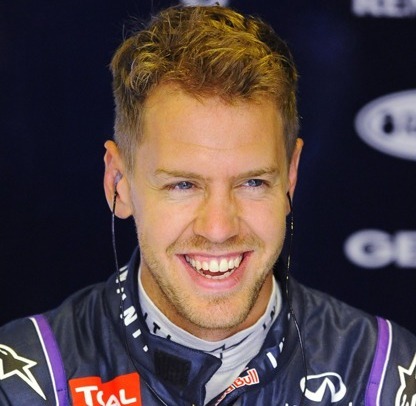 London, Feb 03 - Four-time world champion Sebastian Vettel emerged as the fastest driver for the second day in succession at the pre-season Formula One testing in Jerez on Monday. The German, who switched to Ferrari from Red Bull over the winters, completed 88 laps to finish almost one second clear of his opponents. While the second- fastest time of the day went to Sauber's Felipe Nasr, reigning world champion Lewis Hamilton clocked 91 laps, the most by any driver, despite a reliability issue, the BBC reported. Barcelona (Spain), May 12 - Lewis Hamilton took the world championship lead from Mercedes team-mate Nico Rosberg after a closely fought victory in the Spanish Grand Prix on Sunday. Hamilton leads Rosberg by three points after his fourth win in a row, reports the BBC. Red Bull's Daniel Ricciardo ended up third and his team-mate Sebastian Vettel fourth. 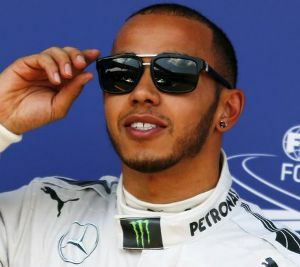 Hamilton converted his pole position into a lead at the first corner and built a 2.6-second lead over Rosberg by lap 13. London, Apr 13 - A British skier has reportedly fallen to his death in front of his son after hitting his head on a rock at the French Alps in an accident reminiscent of Formula One legend Michael Schumacher's one. It was in the French Alps resort of Meribel that on December 29 last year, the retired seven-time German champion fell and hit his head on a rock, suffering a brain trauma and is now in intensive care in a medically-induced coma. Kuala Lumpur (Malaysia), Mar. 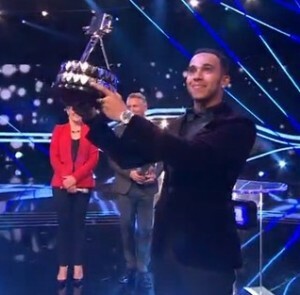 31 - Britain's Lewis Hamilton won the Malaysian Grand Prix with a pole-to-flag victory ahead of Nico Rosberg on Sunday. The 2008 Formula One world champion easily pulled away from his rivals on a dry track with a three-stop strategy to win the race by 17.3 seconds, his 23rd career victory and first in Malaysia at the eighth attempt, reports the Sydney Morning Herald. Sydney, Jan 9 - The horrific accident while skiing that has left Formula One legend battling for his life in a hospital did not happen due to faulty skis, inadequate signage and excessive speed, according to the investigators probing the accident. Schumacher has been in a medically-induced coma since he fell on an off-piste section between two slopes in the French ski resort of Meribel and slammed his head on a rock, prompting his evacuation to a hospital in the city of Grenoble. London, Jan 8 Formula One legend Michael Schumacher, who is battling for his life following a ski accident in late December, is reportedly planning to leave his 750 million-pound fortune to his family to 'support all those who are important to him', according to a will he made three years ago. The former seven-time German champion remains in a medically induced coma since the accident on December 29 in the French ski resort of Meribel, where he owns a chalet. 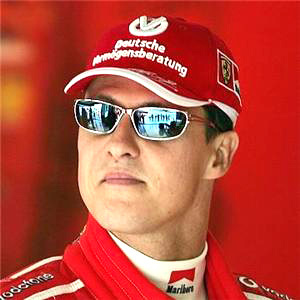 Johannesburg, Jan 7 - The condition of Formula One legend Michael Schumacher, who has been in a medically-induced coma since his skiing accident eight days ago, has reportedly 'improved slightly' than before. Schumacher remains in a critical condition in hospital since the accident on December 29 in the French ski resort of Meribel, which left him with life-threatening injuries. According to Sport24, however, a source said that there are small signs of improvement and the seven-time world champion's family and friends hope that he will pull through. Johannesburg, Dec. 30 - Seven-time Formula One champion Michael Schumacher is reportedly in a state of coma following an injury to his head in a ski accident in the French Alps on Sunday. The 44-year-old is said to be in a critical condition as he suffered from a serious brain trauma with coma on his arrival to the hospital. According to Sky news, F1 drivers took to the social media to wish Schumacher a speedy recovery. Brawn is one of the most prolific F1 designers of the current era and his cars have reportedly won more than 100 Grands Prix and 16 constructors and drivers world championships. According to the Mirror, Mercedes chairman Niki Lauda said that Brawn's future at the team is in the balance and it is '50-50' whether he would stay after this season, although he added that Brawn has agreed to discuss terms with them at the end of the season. 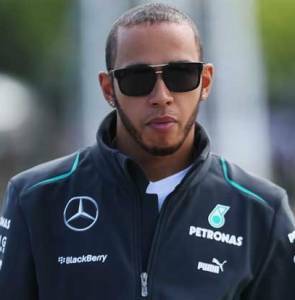 Mercedes has decided not to appeal against the penalty of 20 seconds at the Monaco Grand Prix which dropped him to 12th position from 6th position. Schumacher has been penalized because he had overtaken Fernando Alonso under a safety car in the final lap. Mercedes said that they will not submit any appeal for the interest of the sport. 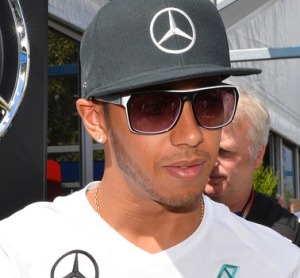 Here’s a good news for Lewis Hamilton fans. The wax statue of Formula one champion Lewis Hamilton was unveiled at Madame Tussauds Museum on Wednesday (March 18). It is learnt that it took nearly 6 months to create Hamilton’s wax costing 150,000-pounds.